For the past decade, high-frequency traders have had an unfair advantage over retail traders like us. Now, we have the technology to fight back. One of the most gripping scenes in “Flash Boys” – Michael Lewis’ bestselling dive into high frequency traders – was a $300 million project to thread fiber-optic cable through the Allegheny Mountains. The mammoth undertaking shaved four milliseconds off the transaction time between the Chicago and New York exchanges. Those 0.004 seconds could be worth billions of dollars as traders beat their competitors to the punch. That could mean selling shares to the highest bidder while a rival’s bid arrives a fraction of a second too late. And if the stock market has stopped making sense to you, you’re not alone. We live in an age when supercomputers and modern technology manipulate the stock market for Wall Street’s gain. Today, we’re going to show you exactly how high-frequency traders are rigging the game against you. But even more importantly, we’re going to show you how to get even. High-frequency trading makes up half of all U.S. equity trades. That means every time you make a trade, you’re up against a high-powered computer algorithm. These computer algorithms comb through the endless stream of stock market data and find profitable opportunities before any human could ever realize they’re there. High-frequency traders use these algorithms to arbitrage price differences between stocks that may only exist for a fraction of a second. Think about it like this. One hedge fund on Wall Street might decide to unload some stock. They list it for $40 a share. An investment bank is looking to add some of the same stock, and they submit a bid to buy it at $50 a share. If you notice this discrepancy, you could technically buy the shares from the hedge fund for $40, and sell them to the bank for $50, pocketing $10 a share. Now, you almost never see price discrepancies this large because the market is so efficient. We can all see up-to-date prices, and no one wants to sell a stock for less than the market says it’s worth. But these market disparities happen all the time. The only problem is, we can’t see them. Your typical online trading software might display updated prices every few seconds, but high-frequency traders are operating in milliseconds. These trading algorithms can spot discrepancies of mere pennies in a fraction of a second. We don’t stand a chance against that sort of computing power. It gets even worse too. In an illegal practice called “spoofing,” these trading algorithms can enter a fake bid for a stock or commodity to artificially drive the price up or down. Entering a series of above-average bids for a stock could trick the market into thinking a stock’s price is rising. The trading algorithms can then swoop in and cash in on the discrepancies this creates. If you feel like the deck is stacked against you, we don’t blame you. After all, you know you’re not just competing with other traders, but supercomputers with teams of Ivy League-trained programmers behind them. You watch, day in and day out, as companies that appear healthy – companies outperforming their revenue, profit, and growth projections – see their stocks crash for no logical reason. 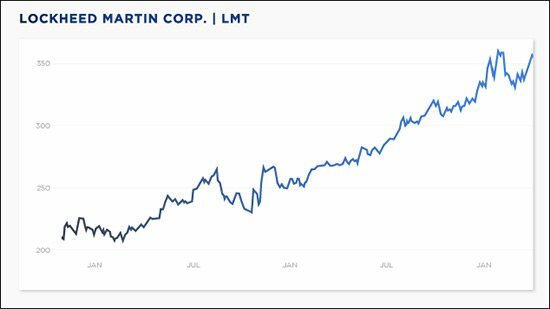 All the while, shoddy companies that should be on the verge of bankruptcy see their stocks soar to unprecedented heights. You fear that reality, conventional wisdom – the rules we always thought applied to Wall Street – no longer apply. And you’re right to think that way. But if you’re looking for a way to cut through this chaos – a new way to grow your wealth aggressively and quickly – then you’re in the right place. It’s 2019, and the way we read the stock market is years out of date. But with this NASA-derived invention, you’ll be 10 steps ahead of everyone else. What I’m about to show you took decades to build at a cost of more than $5 million. In space, it’s able to pinpoint the precise path a vessel should travel to safely reach its destination in the shortest amount of time possible. And to do this, it harnesses the gravitational pull of the sun and the planets in our solar system. The earliest applications of this technology have already created tens of billions of dollars in new wealth. 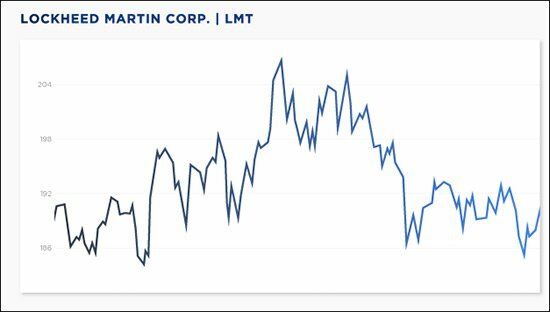 Take a look at an example of Lockheed Martin Corp. (NYSE: LMT) stock here. We just showed you how this technology can transform the stock into 3D. And that allows us to transform a typical, chaotic stock chart into one that makes sense. One that you can use for multiple paydays. 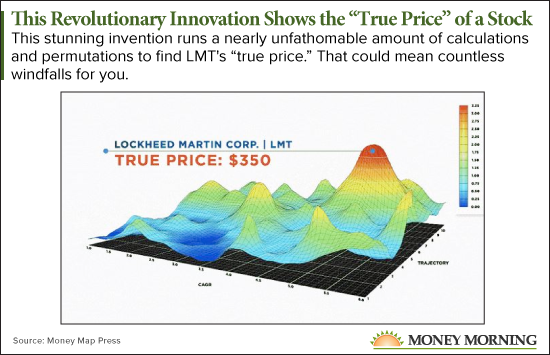 It’s the same company – Lockheed Martin. Only now, this stock is shooting up in a nearly straight line. This stunning NASA-based technology can let you capture repeated windfalls from the same stock… automatically. We’re talking about the potential for six-figure windfalls of $190,380… $242,174… $282,965… even $405,511. With the push of a button, it can turn a two-dimensional stock chart into 3D… and it can transform a cycle of volatility into a straight upward line. Click here to see it live in action.